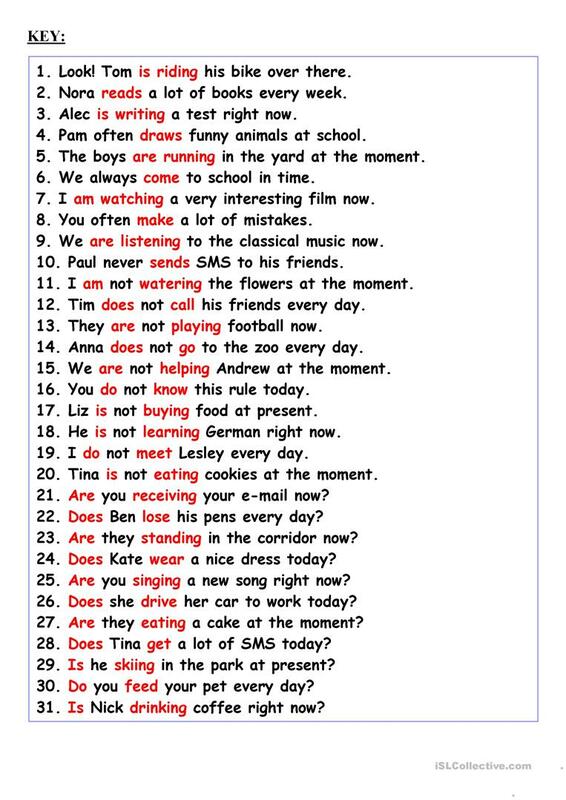 Thirty-ones sentences for practicing affirmative, negative and interrogative forms of these tenses. Key is included. Thank you!!! The above downloadable handout is a great resource for high school students, elementary school students and adults at Elementary (A1), Pre-intermediate (A2), Intermediate (B1) and Upper-intermediate (B2) level. 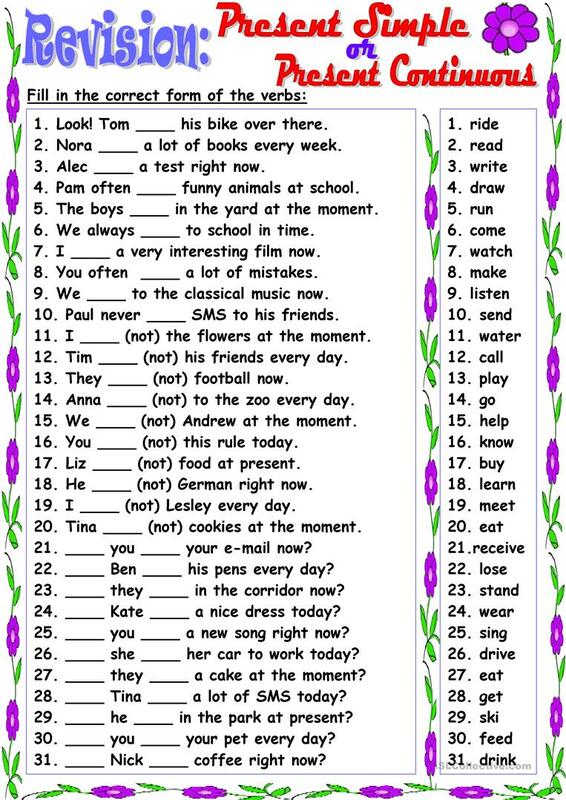 It is aimed at teaching Present simple vs continuous (progressive) tense in English, and can be used for working on your class' Speaking and Reading skills. The exercises come with the answer key.